Are you a newly admitted student with questions about University Housing? If you answered yes, then this Prezi is specifically designed for you! We've got details on our learning and language communities, the Freshmen College Summer Experience, the Franklin Residential College and pretty much ALL you need to know about living on campus. Have more questions? Sound off in the comments and let us know. 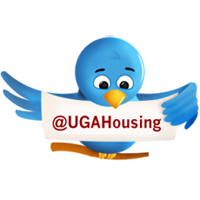 You can also contact our Housing Assignments office at 706-542-1421 or housing@uga.edu.